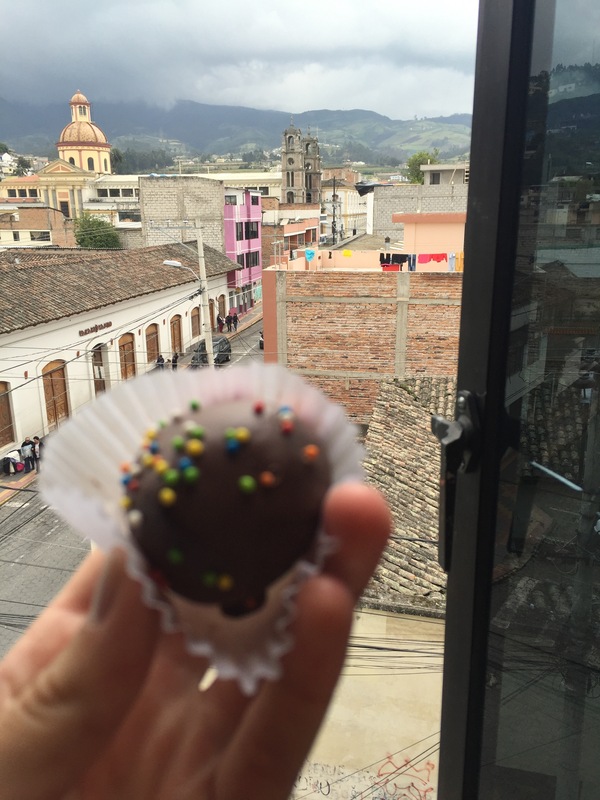 While in Peru, I expected to eat chocolate with breakfast, lunch, and dinner. But just as I’ve recently learned about Colombian coffee, most of Peru’s rich dark chocolates are exported. Cusco’s Mercado San Pedro is a great place to stock up on a few bars to take home. They range in price anywhere from eight – 25 soles for a shareable bar, depending on size and flavor. 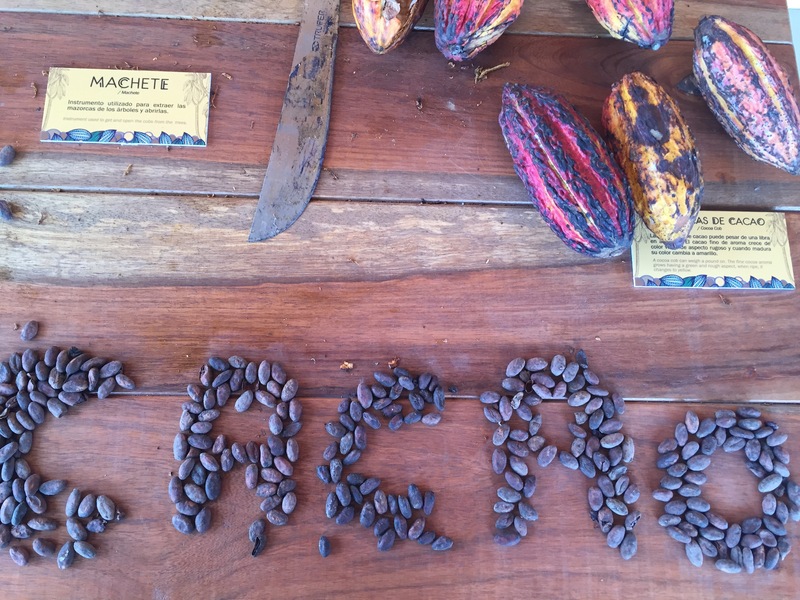 A small shop in Arequipa, Peru called Chaqchao even sells decadent homemade, fair-trade chocolates, sprinkled with a dusting of spicy rocoto, coconut, or dried fruit for only eight – 10 soles. Otherwise, your chocolate craving solutions are limited to cheap milk chocolate in your average tienda, and sometimes the taste resembles that of leftover Easter candy unwrapped in June: a little aged and not-so-satisfying. When I wouldn’t splurge on a fancy bar, I got my chocolate fix in panaderias, where bakers top donas (donuts) with frosting and stuff them with dulce de leche, coat moist chocolate trufas with tiny pearl sprinkles for the perfect bite-sized sugar fix, and fill puff pastry with chocolate spreads. 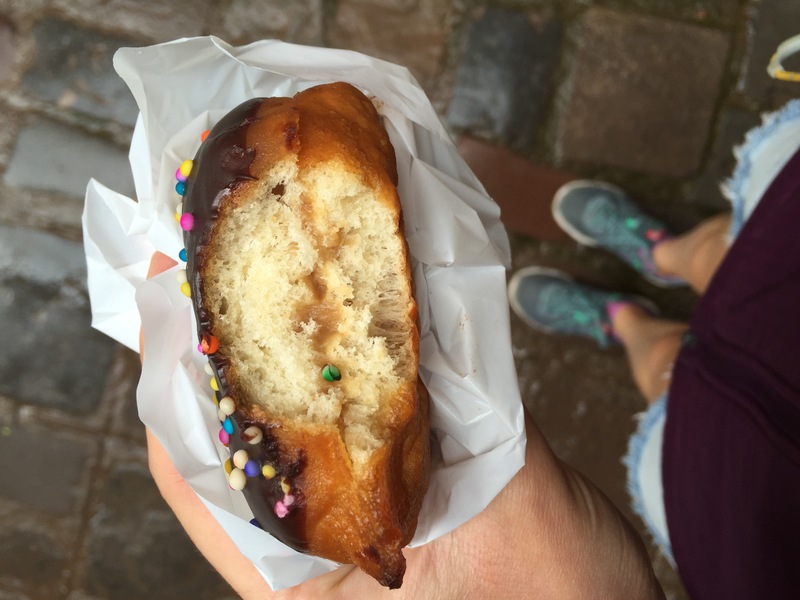 There’s no shortage of sweets in Latin America. And when you’re hopping from one bus to another, hiking up a mountain, or converting kilometers to miles on a tour around a new city, it’s hard to look the other way when you pass a panaderia, even if you’re not that hungry. I’ve found that it’s better to give in to temptation in the name of “experiencing the local culture.” Eating chocolates and pastries in another country? Sounds like “study-abroad” to me. Mantequilla is a way of life here; everything sweet and savory is buttered-up, whether it’s a chocolate donut or a fried plantain. If you want to avoid animal products like butter all together, you’ll miss out on more than a few delicious snacks, but maybe your body will thank you for it. 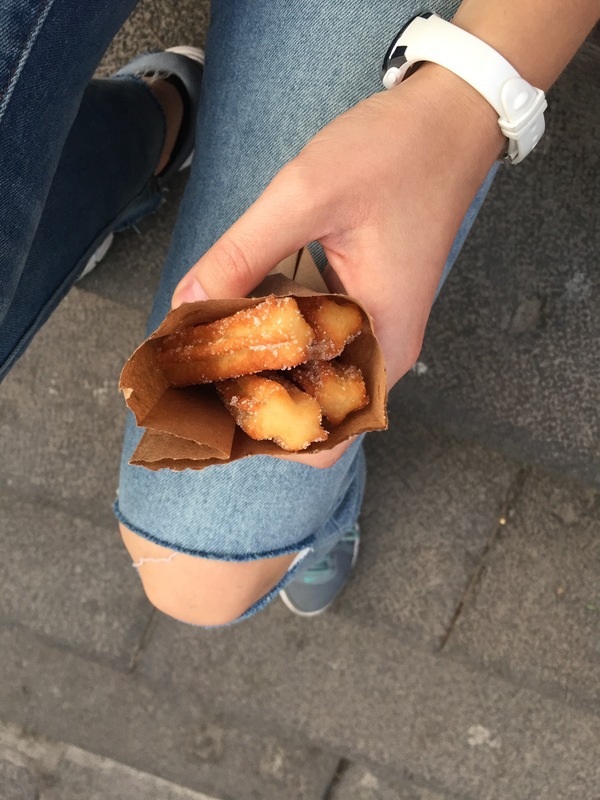 I temporarily gave in and gave up, because sometimes a backpacking girl requires a bag full of churros. ¡Buen provecho!